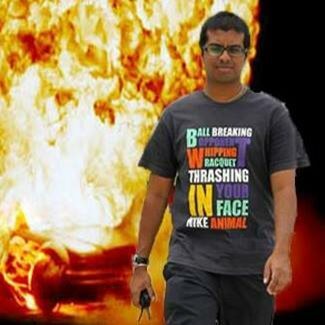 No, that isn’t a typo. The current third-generation Perodua Myvi was launched last Saturday in Singapore and prices start at SGD64,800 (RM197,093) for the 1.3X AT and climbs to SGD69,800 (RM212,301) for the 1.5H AT. The prices are inclusive of the Goods and Services Tax as well as the Certificate of Entitlement (COE); the latter responsible for the price hike. Both variants were launched at the Perocom Auto Pte Ltd’s outlet in Ubi; attracting some 250 customers. 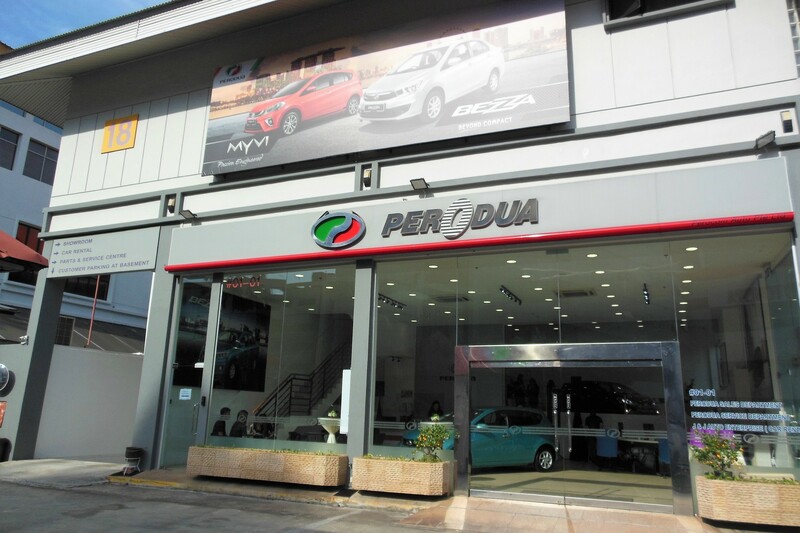 Perocom Auto is the sole authorised Perodua distributor in Singapore since 1997 and has distributed previous models such as the Kancil, Kembara, Kelisa, first-generation Myvi, Viva, Axia and Bezza. 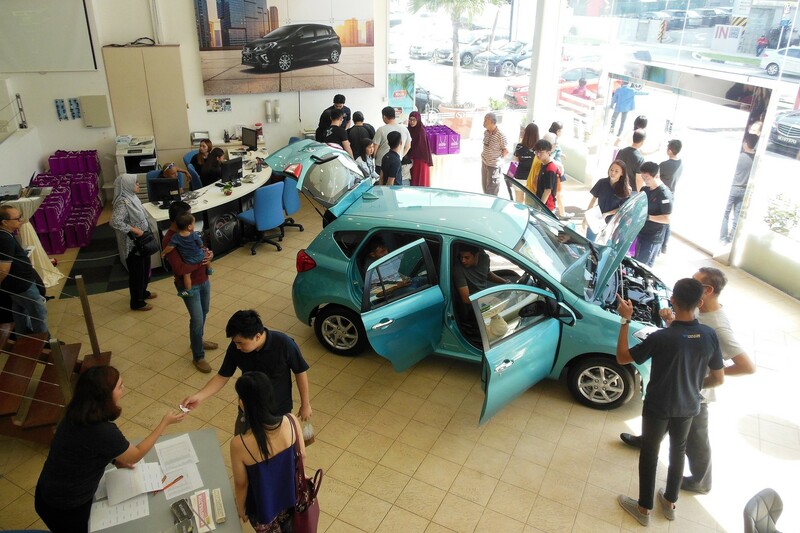 “The current-generation Myvi’s foray into Singapore is significant in terms of brand presence despite the high barriers for entry into this mature market. This also marks the model’s first export destination under the Perodua brand,” said Perodua President and Chief Executive Officer Datuk Zainal Abidin Ahmad. You might recall that the current Myvi is exported to Indonesia but it’s rebadged as a Daihatsu Sirion there, so this is the first export of the current Myvi-badged model outside. 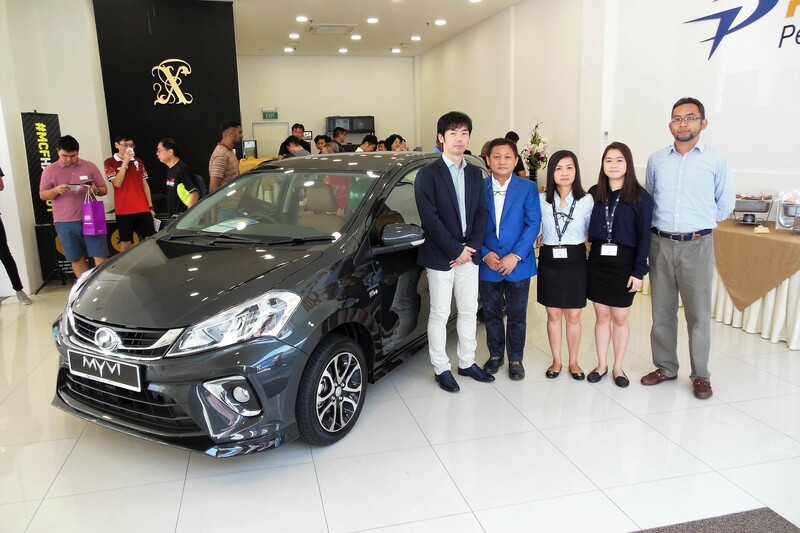 “The Perodua Myvi has been very well received by Malaysians, and the enthusiasm has also found its way to Singapore, where there is a niche yet loyal cult following eagerly awaiting the arrival of the third-generation model,” said Perocom Auto Pte Ltd Managing Director John Ng. Although a small market, Singapore is among the most stringently-regulated automotive markets in the region. The number of new cars registered in Singapore displays quite a variance from year to year, numbering 80,281 units in 2018, 91,922 in 2017, 87,504 in 2016 and 57,589 in 2015, according to Land Transport Authority (LTA) statistics. 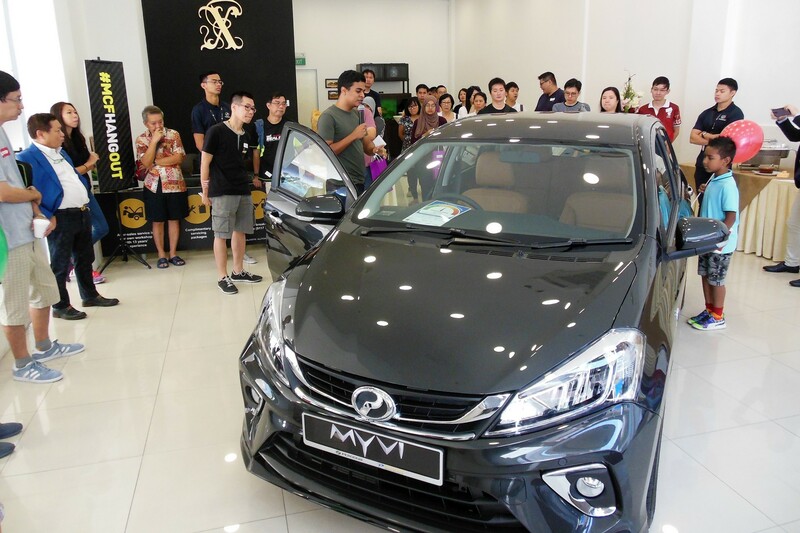 Over 110,000 units of the current, third-generation Perodua Myvi have found homes in Malaysia since its launch.